Well the Tin Man and his entourage were on the search for a new Foodie Venue to indulge in culinary delights.. 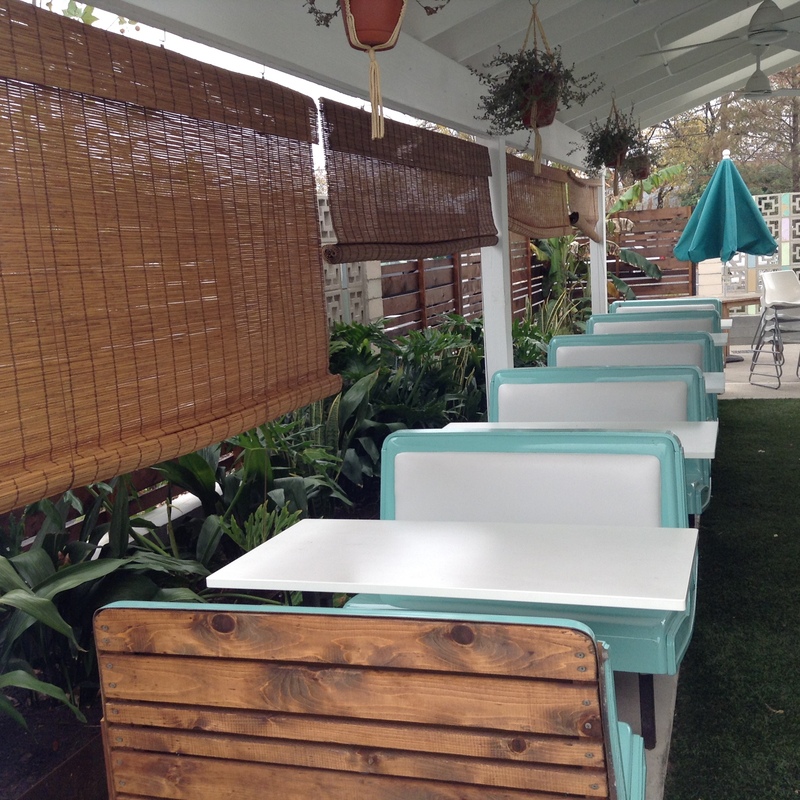 The food at Sawyer & Co. has been designed by Stephen Shallcross and consulting chef Happy Abdelbaki, longtime friends from Baton Rouge. The flavors and dishes of New Orleans resonate in the menu choices: biscuits and pancakes with Steen’s Cane Syrup; jambalaya, gumbo, red beans and rice made with Manda’s sausage from Baton Rouge; and a po’boy bread from John Gendusa Bakery in New Orleans’ Gentilly neighborhood. Breakfast offerings include a rotating selection of omelets and eggs including a cheeseburger omelet and scrambled eggs with crawfish! – plus grits, Brabant potatoes, biscuits, pancakes, praline bacon, breakfast sandwiches, and tacos. 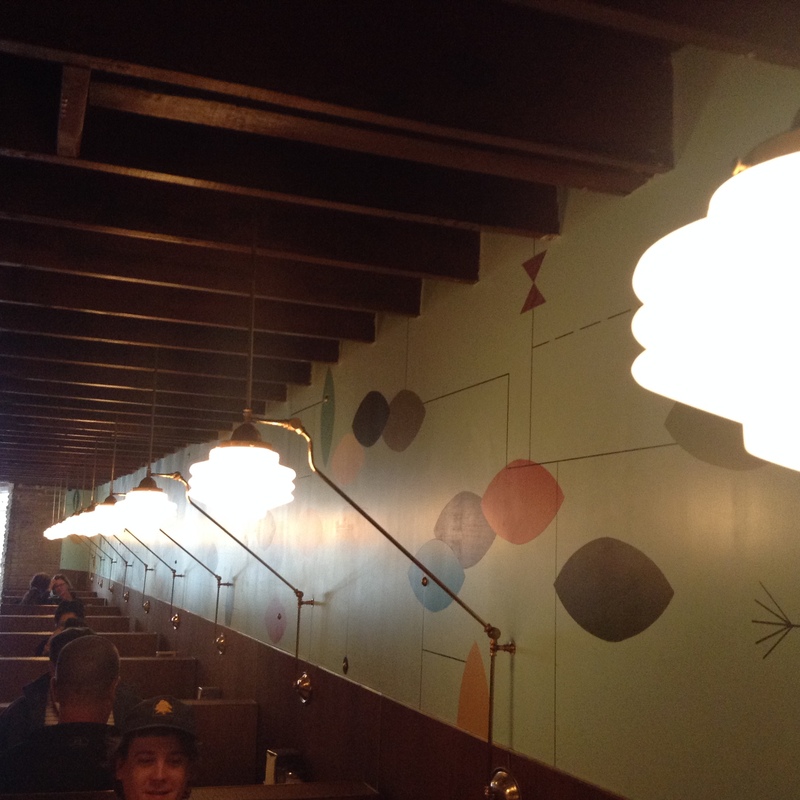 The Venue is quite something in and of itself………….a 50s Diner that could be owned by the Jetsons themselves! 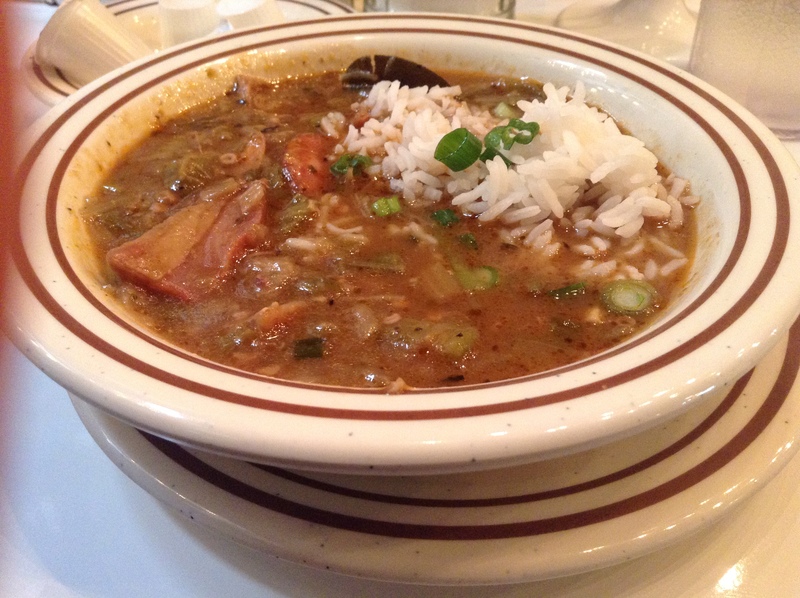 To begin we had the most delightful Gumbo….rich dark and bursting with flavor…. then, of course, the seafood platter……..
We finished with Key Lime Pie…..which we shared so no photo was taken because I had to fight for my bite!!! By the time we left patrons were standing all around outside waiting for their turn at a table. 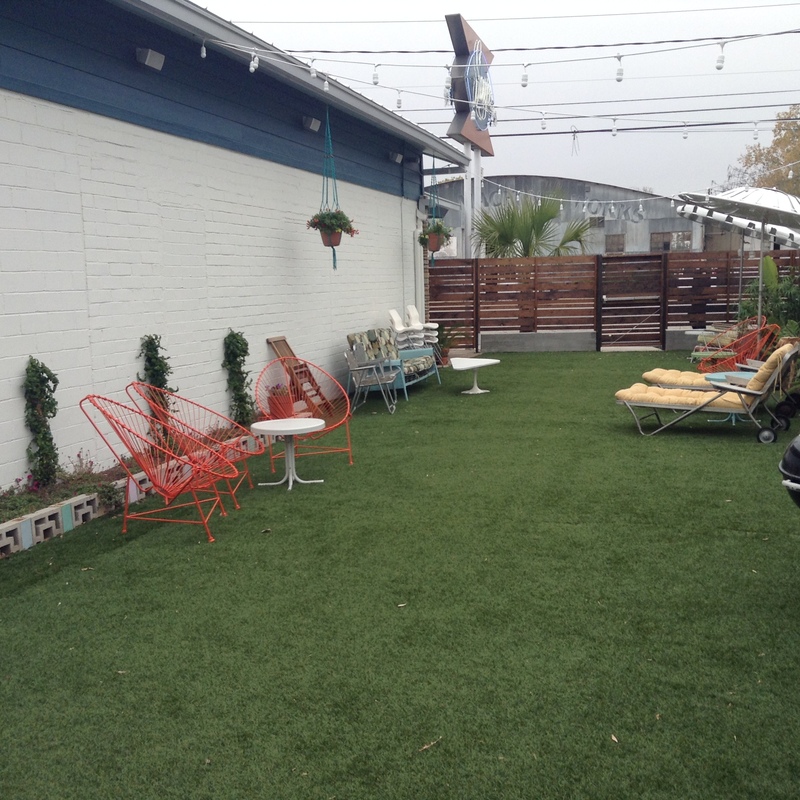 and excited us with prospective delights to look forward to enjoying at Sawyers & Co…well Austin, of course. 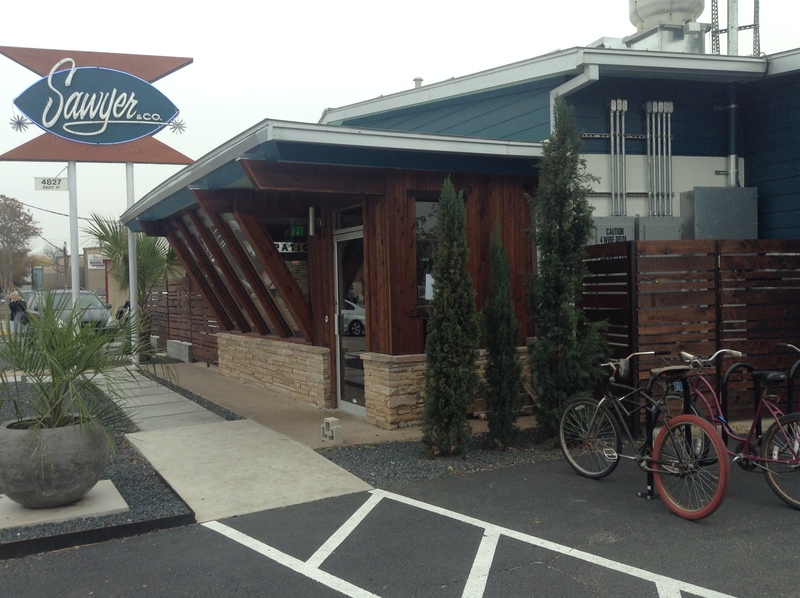 C’est la cuisine français on the Bayou… Austin style. A rendezvous with friends there is now on my planner. Oh dearest Pat, thank you so much for stopping by for a visit! 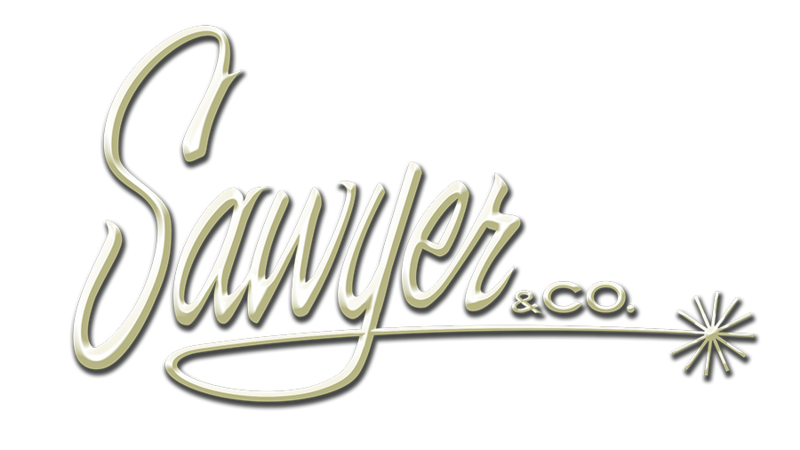 You must go to Sawyer & Co., it is owned by Larry’s son Stephen. It a most delightful place. She clicked the heels of shiny red shoes. Happy happy happy to travel back in time with her Tin Man. Pork Belly, Gumbo and Key Lime Pie OH MY!! Dynamite music on the jukebox. Chuck Berry Ray Charles. Booths. Counter stools. She joined the line-up. There’s no place the 60’s!!! Yes, Virginia, the Tin Man has ventured out into the world for just a moment. This is a restaurant opened by the son of our dear friend Larry (as in here comes the Judge). 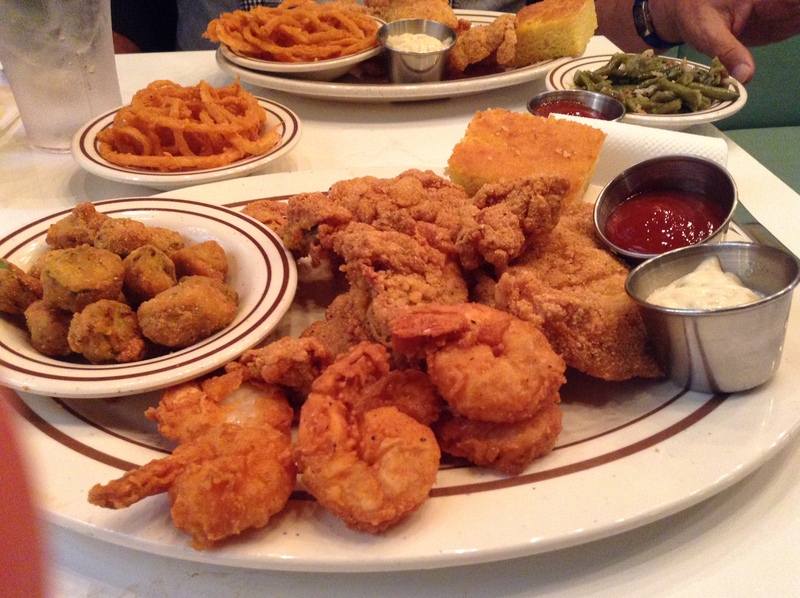 We so enjoyed the Louisiana style cuisine. Thou knowest that pork belly is a most divine addition to any dish! Love you!!! Oh, I do love the look of this place! 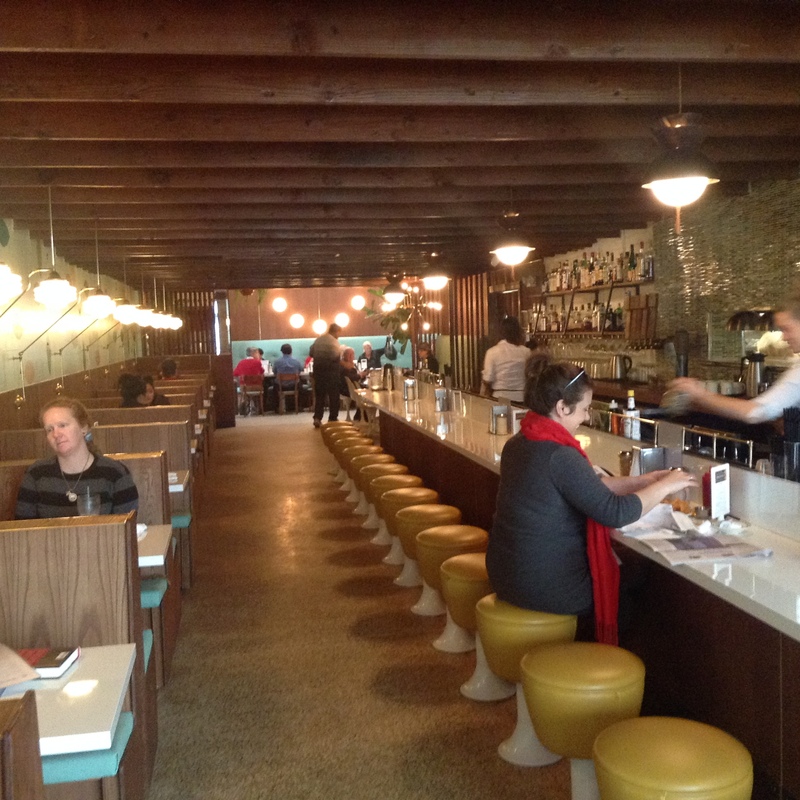 Very modern retro with those booths and dining stools. I loved those old restaurants that had them. The menu has a little of everything. Husband would want the seafood platter and share some with me. Too bad about that key lime pie but that’s what happens when you share a dessert. We will have to check it out when we are in Austin. All the best of luck to your friend! Oh yes, Jo Nell, you must stop in if you are in Austin. If you do ask if Stephen is in! 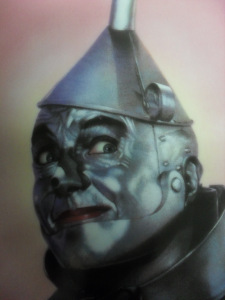 He would love to see that friends of the Tin Man stop by. He is the son of our friends Larry and Margo who travels often. I know you and the Good Husband would delight in the food. I love diners. I love supper clubs. What a great-looking joint, Mr. Tin Man! Does it have a history? Swanky. Swanky. I love the decor. The lighting fixtures knocked off my bobby socks. And now I’m craving a gigantic seafood platter and Key Lime Pie! Dearest Theadora, we have had fun with the Mardi Gras this year and this luncheon started the whole thing off. It is a delightful place and was resurrected by our friend Stephen. You would love it! Oh my. Oh my. Oh my ……. ad almost infinitum! You know, we cannot get any of these extraordinary items here, and my mouth is just watering for them! I could practically taste the gumbo, so dark and rich in your photograph. And pork belly! What more could a body ask for! Oh it is a culinary temple filled with amazing delights. The gumbo was totally insane with richness and flavor. We went to a Mardi Gras Supper Club and had Gumbo with Smoked Duck!!! That post will be coming soon. Gumbo, Seafood Platter and Key Lime Pie – It sounds like a wonderful place and something any Southern girl would enjoy. I will pass this on to our SIL who has been having to travel to Austin on business lately…it sounds good. Oh, please do and tell her to ask if Stephen is in, he would love to hear that she was referred by The Tin Man! What fun that would be! Have been stopping by, hope all is well. I emailed you after your comment on my blog recently but I don’t know if you received it. 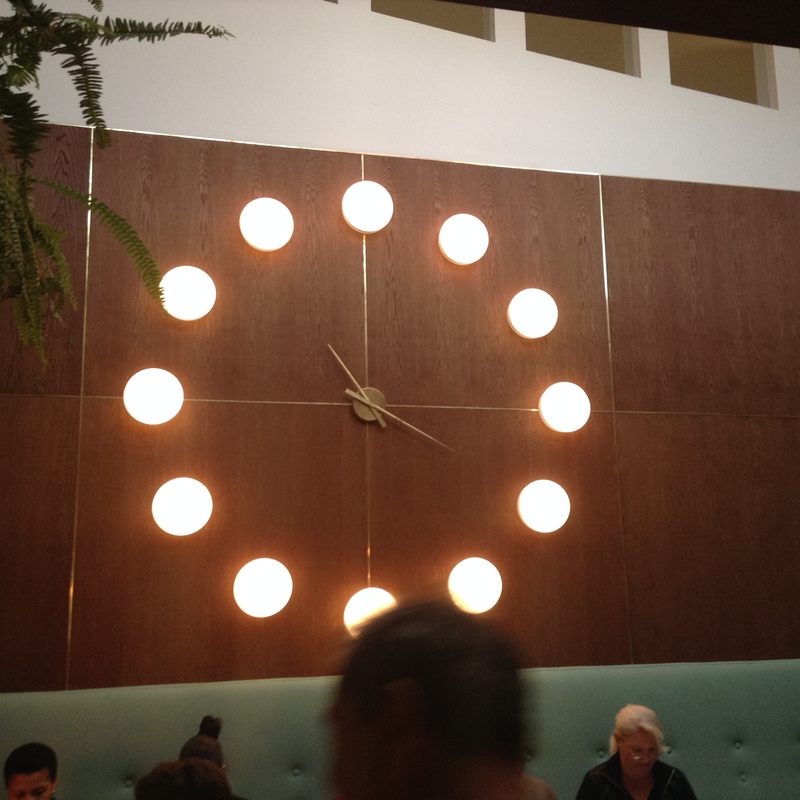 Yes, it took a bit of negotiating to decide what we all would order and then no one wanted to share….lol. It is a delightful place.